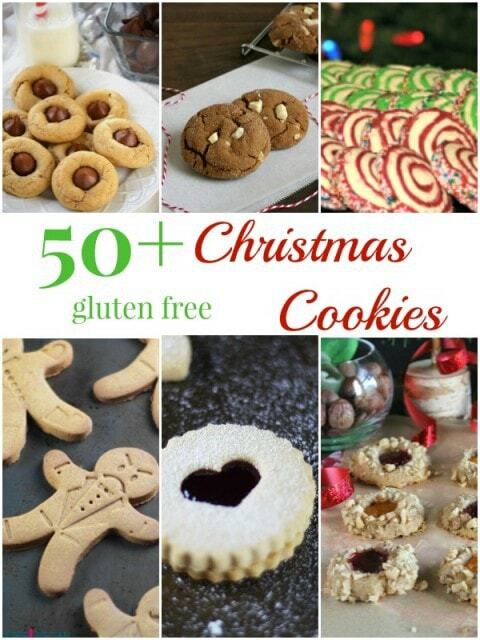 The holidays are quickly approaching, and to help kick off your Christmas baking, here is a list of 50+ Gluten Free Christmas Cookies from some of my (and hopefully your) favorite gluten free bloggers. When it comes to Christmas baking, I’ve been known to go a little crazy. 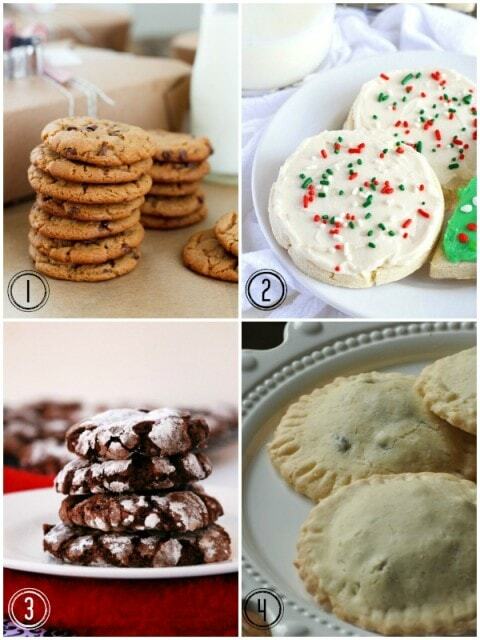 There are always those recipes that you bake out of necessity – over the years they have become part of your family’s holiday tradition. Then there’s this family member’s favorite, or that one’s. 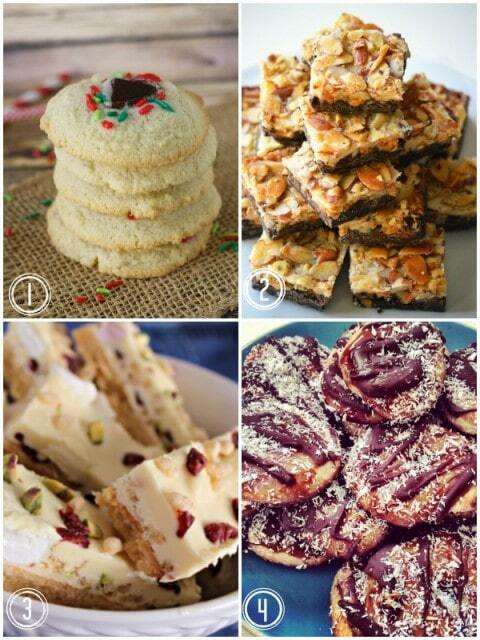 Plus, there are always so many new recipes to try, and when is a better time than during the holidays? 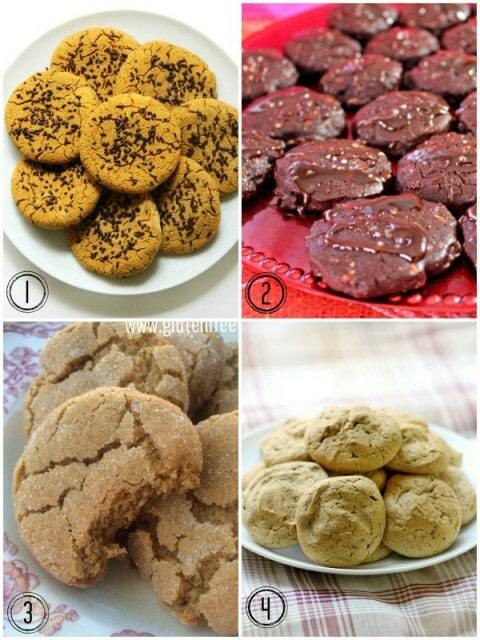 Since most cookies freeze without a problem, it’s great to be able to put together a huge platter of a variety of cookies when you hear company is coming over, or even to bring along to your gatherings. 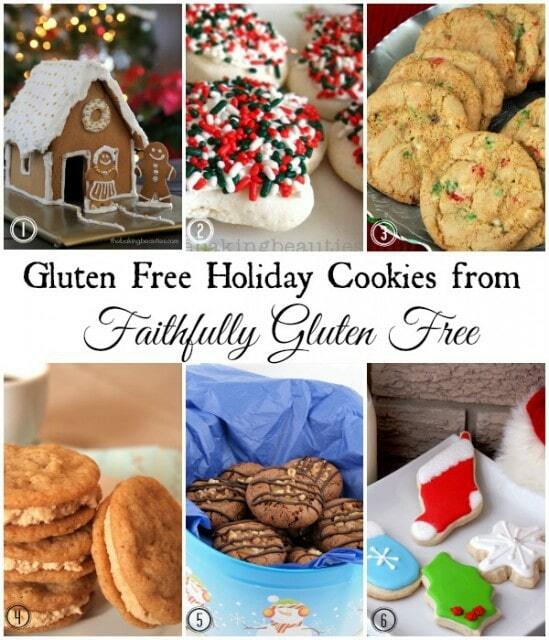 I asked some of my blogging friends to share their favorite gluten free Christmas Cookies with you, and they did not disappoint! 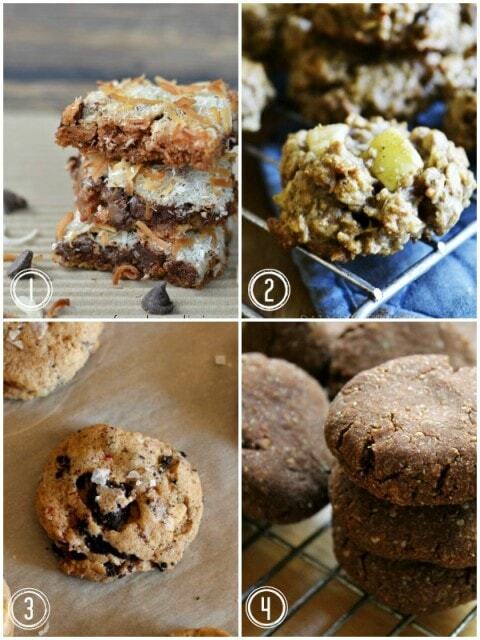 Over 50 recipes for a variety of cookies, something for any dietary need. 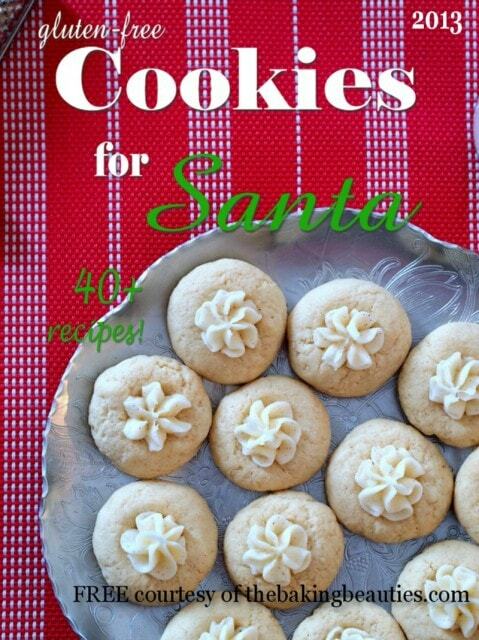 And while you’re in the spirit of all things cookies, don’t forget to download my free Gluten Free Cookies for Santa E-Book. 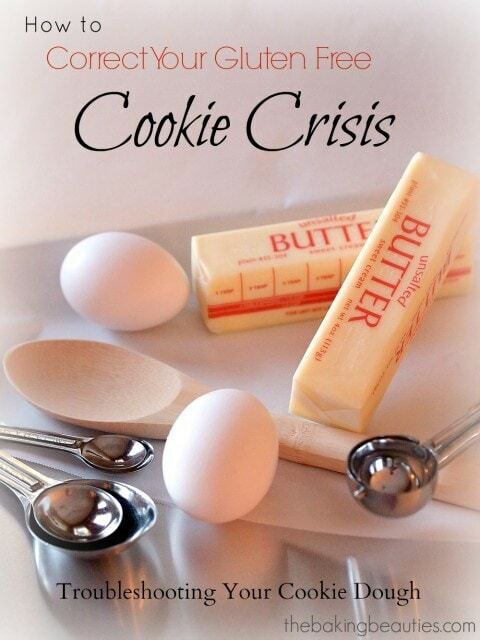 To help you succeed in the kitchen, read my tips & tricks on How to Troubleshoot Your Gluten Free Cookie Crisis. 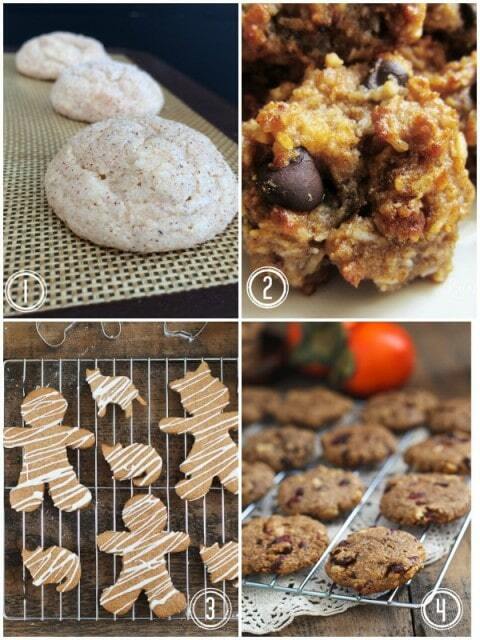 Thank you so much for including my cookies Jeanine! 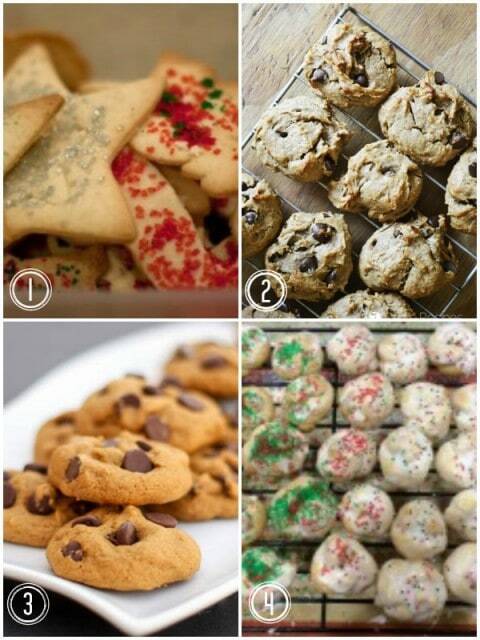 I have shared this post all around…and now I will be picking a couple new cookies to try!! Thank YOU Tessa! 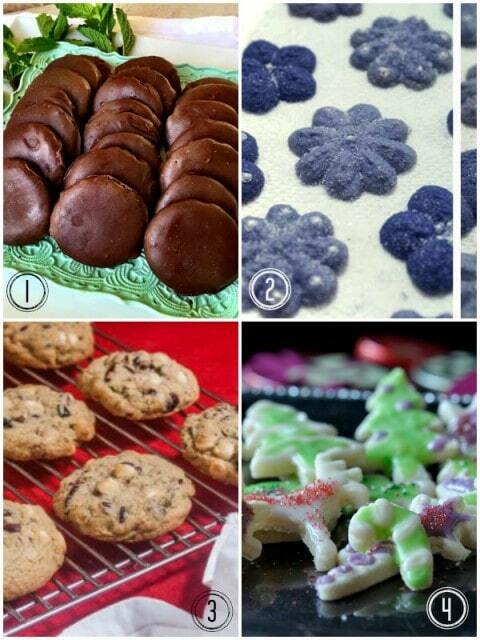 Choosing what to make – that’s the hard part! 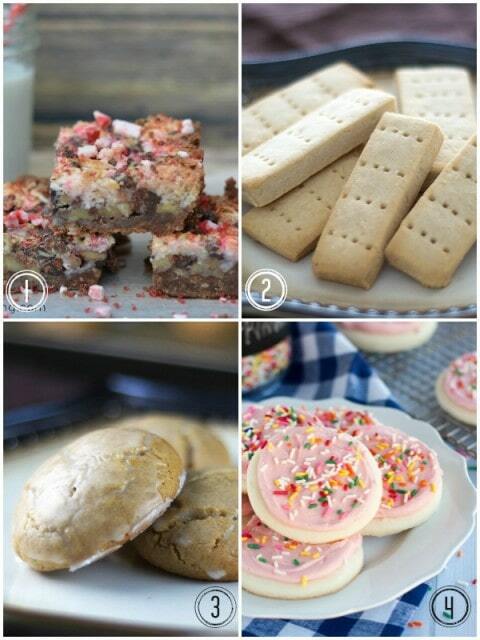 Thank you for including my Snickerdoodles! 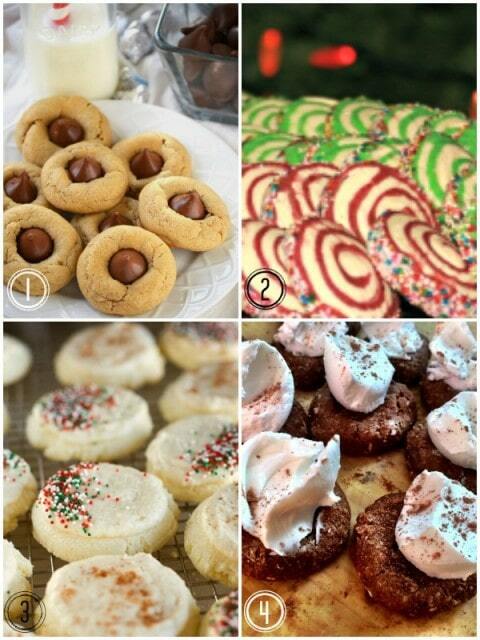 What a great roundup of Christmas Cookies. 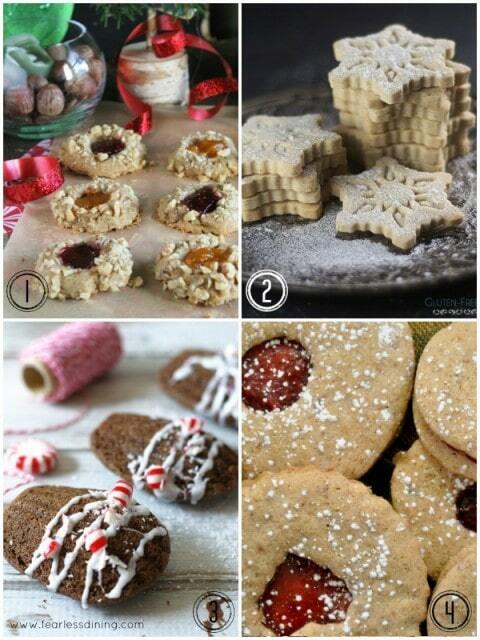 Love all the photos, makes me want to play sick from work and bake all day. 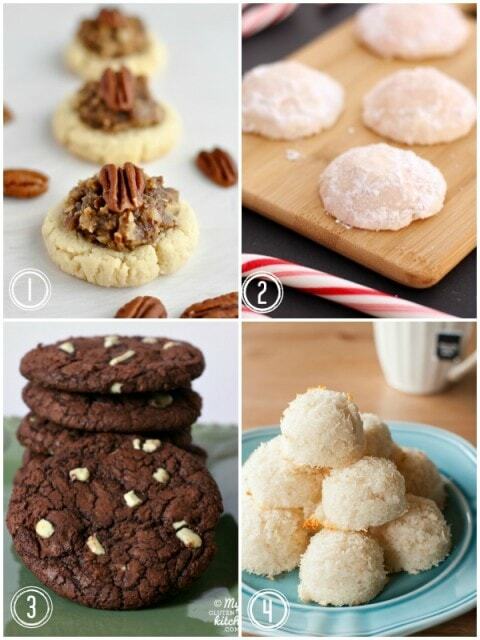 Lovely cookies, Chrystal! thanks for participating! 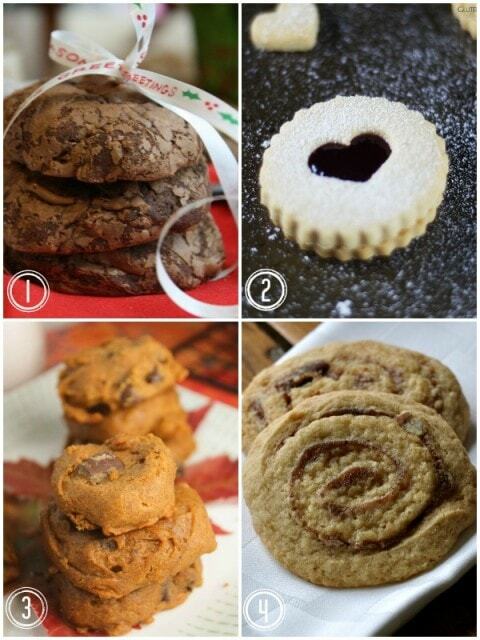 So many cookies – so little time. 🙂 Thanks for joining in! Wow, what a fabulous list! Thanks for including my cookies. My pleasure, Laureen! Thanks for participating! 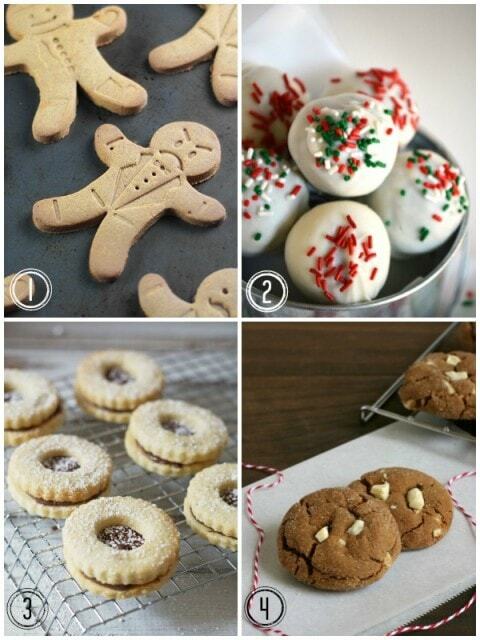 It’s been one of my new traditions the past few years post-celiac to make your roll out sugar cookies. They always turn out great, and everyone else in my family loves them too! My pleasure! Thank you for participating! Thank you. 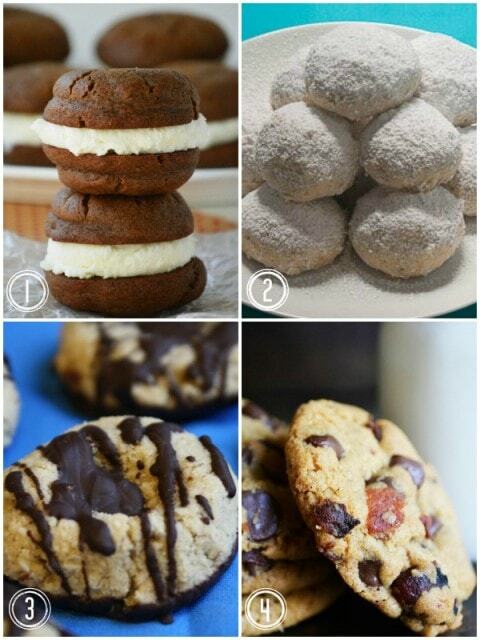 These cookies all look delicious! Pinned. This is such an impressive list! 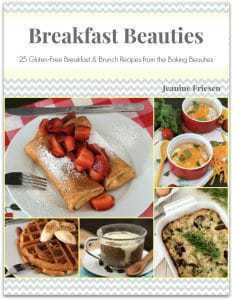 Thanks for including a few recipes of mine. 🙂 Sharing and pinning! I hope she had a delicious gluten free Christmas, Mary!